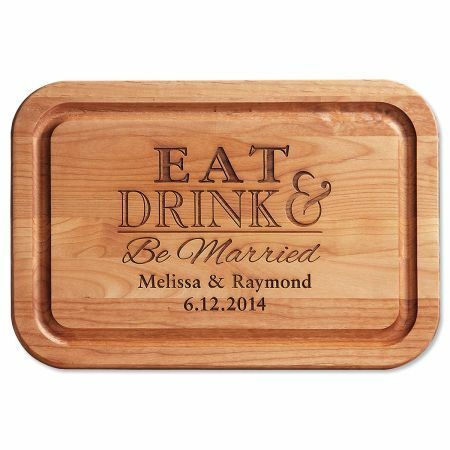 A fun way to recognize a marriage! Dual-side usage for both chopping and slicing, with a trench to catch the extras. Made in Oregon from solid red Alder, a sustainable American hardwood. 16 x 11 x 3/4". Laser personalization. 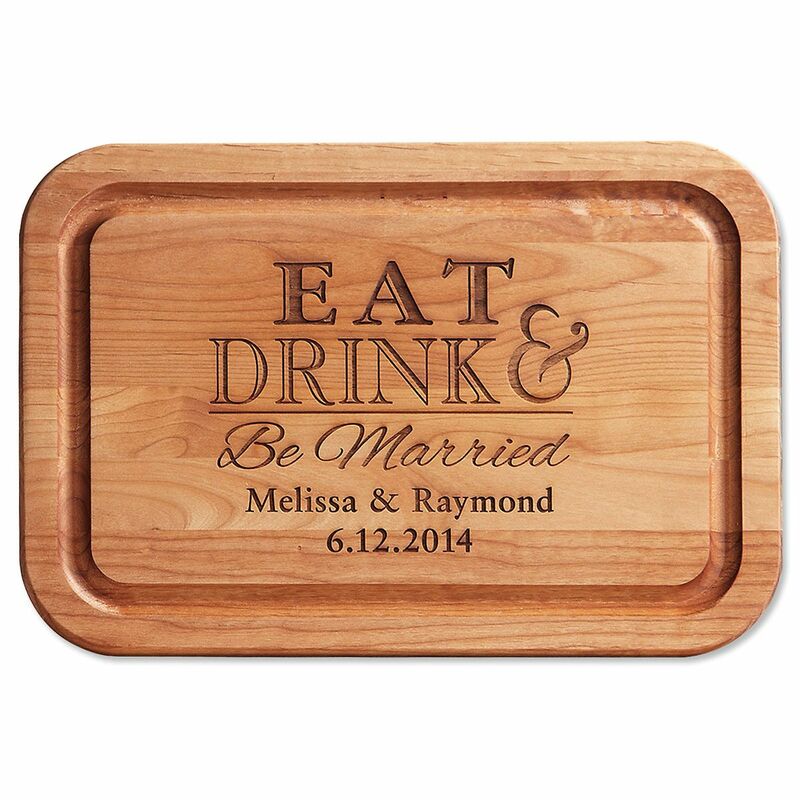 Specify 2 lines, up to 24 characters each (EAT, DRINK & Be Married is preprinted).